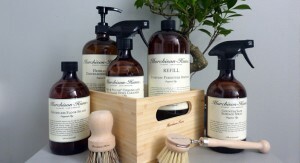 LUXURY HOME PRODUCTS BRAND, MURCHISON-HUME, HAS JUST JOINED THE TRISH NICOL AGENCY’S STABLE OF LUXURY PR CLIENTS. The Murchison-Hume company was born out of the simple idea that cleaning products could be safe, effective, easy-to-use and yes… even beautiful. This simple philosophy has seen the brand’s plant-based, authentically sustainable, premium house cleaning products adored globally – more than just a pretty label, they are designed to be the finest, safest and most effective housecleaning products on Earth. • 100% Cruelty-Free and never tested on animals.